Amazing opportunity! 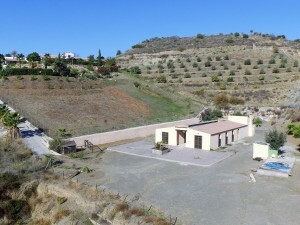 5 bedroom 4 bathroom property located just a short drive from the town of Albanchez on a huge 7000 mtre plot and with 350mtrs of living space! The property is accessed via a tarmac road and a large entrance gate. 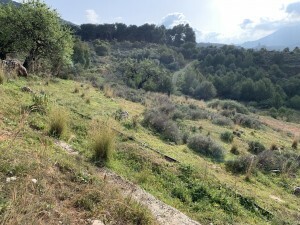 There is a huge piece if flat land to the front with many olive trees. On this level there is a humongous garage with two access doors at either side and there is enough room for up 6 cars. There is a large stone wall which leads up to a hill to the main living area. The room on top of the garage can be guarded off and made as a beautiful sun terrace. There is a large front covered terrace with 4 arches, a perfect place to sit and enjoy the amazing views. Through the double doors is a large dining/lounge with a quality wooden ceiling. Firstly on the left is a spacious utility/storage room. Further along is the lovely fully fitted kitchen with a door leading out to the side flat garden area (Where you could fit a large infinity swimming pool). Further along is a small hallway on the left a large bedroom with double doors out to the side garden and a spacious en suite bathroom. On the right is another huge bedroom with its own en suite bathroom also. To the right of the dining room is the huge master bedroom with an en suite bathroom and double doors out to the front covered terrace. Also to the right is another great size bedroom with en suite. Up the wooden stair case is a very bright spacious room with arched windows. This could be used and a play room or even another bedroom. This is a luxurious property ready for someone to make it their own! The friendly town of Albanchez has many amenities such as bars, banks, supermarkets etc. There are many additional extras to this property such as full oil fired underfloor heating and pre installation for air conditioning, quality materials have been used and the property boasts of fantastic views and peace. The outside needs work as it is a blank canvas, this is reflected in the price. 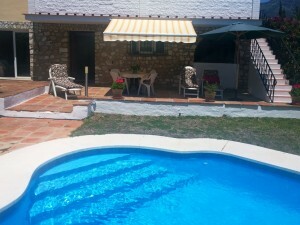 For more information and visits to this wonderful property, don?€?t hesitate in contacting us!